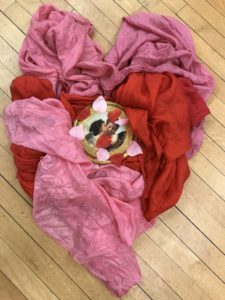 This past year Dicki Johnson Macy has been implementing her dance curriculum, The Art & Technique of Isadora Duncan, with colleague Cynthia Word, Artistic Director of Word Dance Theater in Washington, D.C. This semester launches a brand new year of classes as teachers prepare to inspire new generations of Duncan dancers. We look forward to the continued collaboration between BCF and WDT, as Duncan programming for youth continues to flourish. Please click here for information about Word Dance Theater’s Duncan Youth classes in Washington, D.C. Previous PostGuardians of Isadora performance at the Isabella Stewart Gardner MuseumNext PostCongratulations to BCF’s New Basic Rainbowdance Trainees!